Barbara was fantastic on our journey to the Salt Mine and gave us a lot of information. We had a different guide during out tour of the Salt Mine and he was full of fun and interesting. We chose this tour because my mother has issues walking distances, and it was perfect. It was a luxury to leave all arrangements to Barbara - she picked us up in a comfortable mini-van with driver, took care of booking/tickets, and accompanied us through the mine tour - even helping with questions in the shop at the end. The entire trip was so easy and comfortable for us! 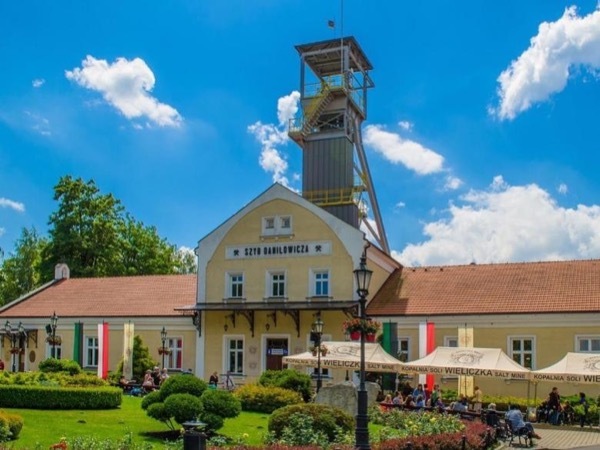 The Wieliczka mine is fantastic, truly amazing - and this tour allowed us to enjoy it smoothly and without worry thanks to Barbara!